Want to make some cute little treat holders for the grown-ups in your life? Here are a few coffee treat holders I made this year. This treat holder is a small milk carton made with directions from Pootles.co.uk (click here). 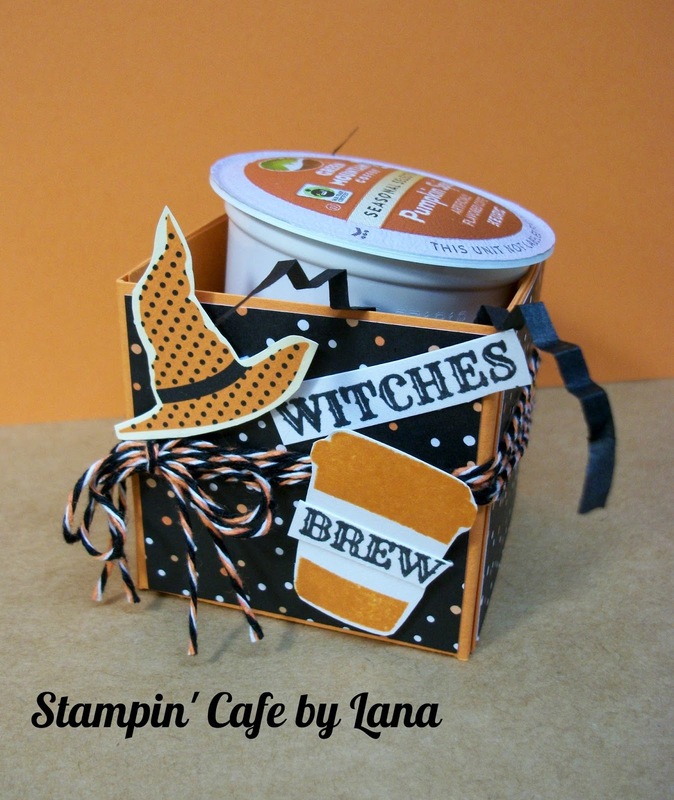 I made the carton using orange cardstock and covered it with panels of Halloween Night DSP from Stampin Up (2016). I mixed a couple stamp sets to get the stamped "Everything pumpkin", die cut it out using a stitched oval shape, then hand cut and added a little pumpkin from the same DSP. I tied some black twine around the carton. 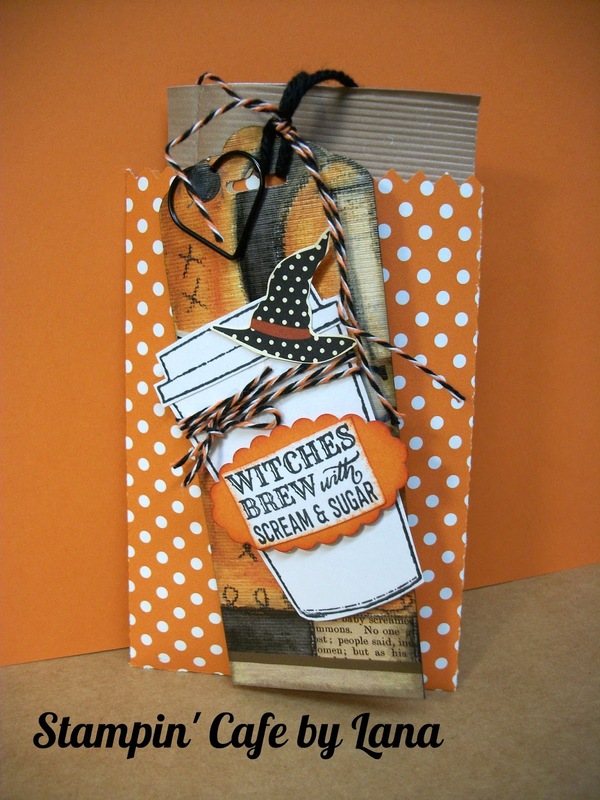 This little carton will also hold a K-cup or some small pumpkin candies, tea light candles, etc. The carton is held closed with a gold library clip. I added a tag cut from a calendar page (see my post dated October 6, 2018 where I turned calendar pages into cards and projects), added some twine, a stamped and cut out image of a coffee cup, a witch's hat, and a greeting from the same Stampin' Up stamp set. I attached the tag to the bag using a heart shaped black paper clip. Inside the treat bag is a packet of mocha latte coffee. Here is another idea. 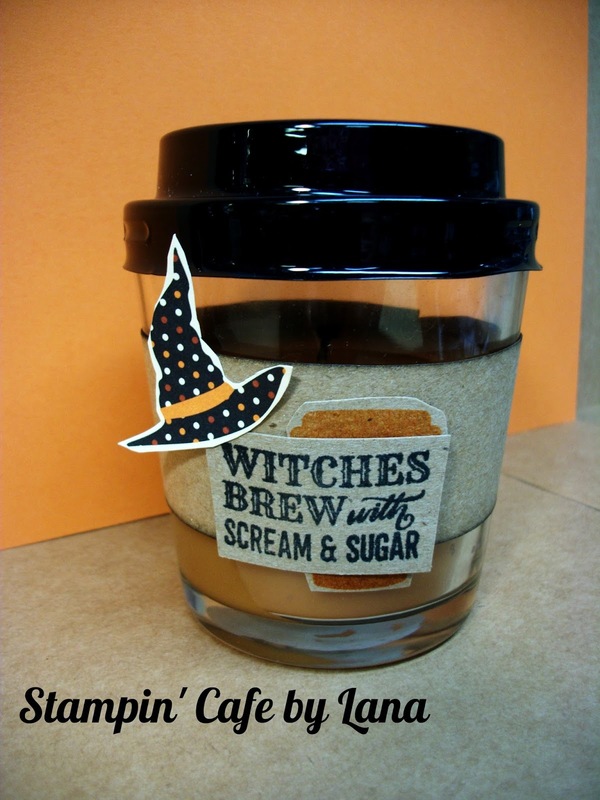 You may have seen these cute little coffee cup candles at Dollar Tree. I removed the label it came with, traced out a new one in kraft cardstock, and attached it instead. 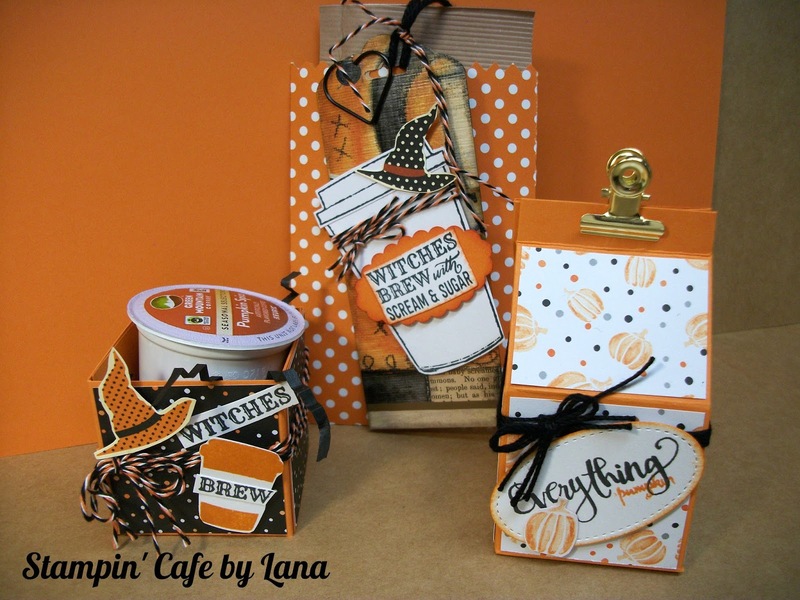 Then I added the greeting, cup and witch's hat. Very little effort for a cute effect! Halloween doesn't have to just be for kids you know!